I made my first blind-buy in almost a year, picking up a bottle of Ramon Monegal Umbra. The listed notes are vetiver root, tree moss, black pepper, bourbon geranium leaves, fir balsam, tonka haricot. Umbra hasn't yet arrived but I already know what you're thinking: "Dan doesn't like vetiver, he constantly complains about it and even about people who love it (there's always a touch of misanthropy in everything Dan says), and yet like a dummy, he keeps trying new vetiver fragrances." Let me answer those charges, KP. First of all, yes, people who go on about vetiver bug me, because their evaluations are almost always glowing. They seem to want to reward every single fragrance that features vetiver: "this one is smoky, five stars! "; "this one is very dry, five stars! "; "this one smells like every other one...five stars!" Which is exactly what I do with anise fragrances, so I'm not trustworthy on this topic. Let's move on. 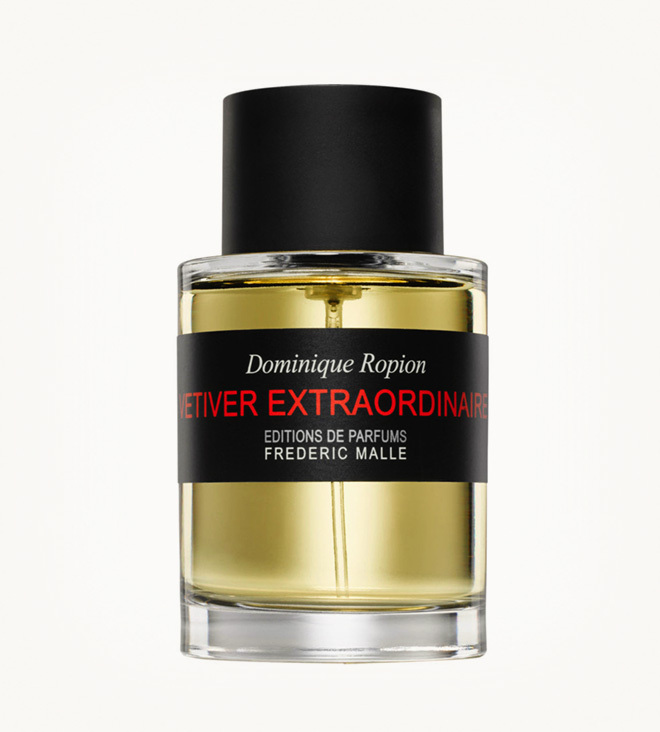 I currently own only one full bottle of vetiver perfume: Frederic Malle Vetiver Extraordinaire, which is somehow more nimble and complex than most vetivers. And still it smells pretty much the same as most vetivers. But my girlfriend Susan likes it. She rarely says anything about what I'm wearing, at least not without solicitation, but I've noticed that the two times I've worn VE, she's come right out and told me I smell great. I sound like I'm very close to starting a "Chicks Dig Vetiver!" thread on Basenotes. Let's move on. Umbra gets good reviews (meaningless, I know) and many of them say it's a unisex vetiver, they talk about the geranium, the tonka (as if you can ever smell anything but vetiver in a vetiver fragrance), and this is promising to me. What isn't promising is this Ramon Monegal, who simultaneously released a million different perfumes, which makes no sense at all. It's not like The Beatles could've put out their entire catalog at once. But you know who could have? Nickelback. So I'm afraid I'm buying into the Nickelback of perfume. Let's move on. The bottom line is this: I'm back to making impulsive purchases of things I probably won't like. And it feels like home. Read Dan's Umbra findings here in Part Two. Katie, you really need some additional perfume pen pals. That's what you're providing in the comments section. That was Susan. She's getting really jealous of Dan's relationship with fragrance. Holy Heck Dan it is so AWESOME to have your input back on Katie's blog again. We all missed you immensely!!! Umbra kicks off its olfactory journey with a spring in its step - a bright zip of fresh vetiver announces effervescent black pepper, crisp white musk and dew-covered geranium leaves. Umbra is the essence of the earth, capturing the newness of a blade of grass but then changing, growing to relay the the texture of lichen and spruce balsam and a rising tonka sweetness that smooth's out the entire composition. 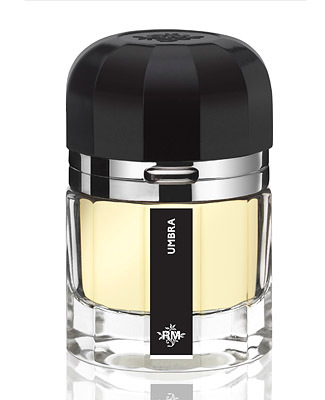 Umbra turns structured, slightly dry and balmy with an herbal element that calls back to its refreshing top notes. A perfect fragrance for aficionados of vetiver and tonka bean. Umbra Notes: (1) Haitian vetiver root (2) Yugoslavian tree moss (3) Madagascan black pepper (4) Bourbon geranium leaves (5) Canadian fir balsam and (6) Tonka haricot. My heart is pounding out of my chest. No wonder you bought this blind!!! I would have, too. I do not know who writes the narrative for these scents but they are brilliant and I love the way they write. However, I bought one Le Labo scent blind and I will never do that again. I have come to terms with self-control and it really seems to work better for me when I practice it. I now wait and listen to more and more reviews and YouTube's before I commit to a scent. Like Katie has said in the recent past in one of her personal fragrance collection reviews: "I find that I am a little more particular about the perfumes I allow past the Puckrik velvet rope" and I am so with her on that sentiment. No more impulse buying. More discernment and take a "wait and see" what other folks have to say approach. Byron, I too am interested to see which one one of Dan's eternally warring monsters - cynicism and optimism - will triumph when he first wears Umbra. And, yes, Umbra's listed notes are spectacular. Except we both know how frequently listed notes mean nothing at all. Ah, the ups and downs of the perfume buyer. "One should be able to see that things are hopeless and yet be determined to make them otherwise. "—Fitzgerald, "The Crack-Up"
These warring monsters keep many therapists in business, KP. And perfume shops, too. Well, this goes to Dan, I'm sorry, but I seem to love every vetiver fragrance I try. And tuberose. There was only one tuberose perfume I tried that was truly awful but luckily I quite successfully forgot its name. Never happened with vetiver though. It's just such a likeable note that seems to push all my perfume-loving buttons, I can't help but love it. Some more than others, so I'm putting MdO Vetyver as my personal favourite. Ines, In my case, the line between "true perfumista" and "a guy with impulse-control issues" is pretty much non-existant. Like Dan, I keep trying (and sometimes even buying) vetiver fragrances, only to leave them untouched in the dark recesses of my bathroom cabinets. I want to understand and appreciate vetiver, but I mostly don't. I did, however, recently purchase Olfactive Studio's "Autoportrait" which has a distinct vetiver presence, and I actually wear the darn stuff. With shocking regularity! Mainly because it has a generous dose of Benzoin-bunny leaping and frolicking at its heart. Nathan, I'd forgotten, I own TWO vetivers. Sel de Vetiver is my other one and I've sung its praises more often than I've worn it. So not liking vetiver and actually wearing one is strong praise. Do you know I've already opened another window and I'm researching Autoportrait right now? Of course you do. "I've sung its praises more often than I've worn it" . . . ha! Sadly, I've so been there. It is going to come down to Vetiver Umbrage or Umbra for Dan. Jordan, Vetiver Umbrage (notes of anxiety, misery and resentment) sounds like the ideal fragrance for me! Umbra's notes sound absolutely gorgeous, no wonder you blind-bought it. I don't seek out vetiver fragrances deliberately, but I do enjoy it as a note. Anything that smells like I'm walking through a forest makes me happy. Nora, Forests worry me. There are wild animals and humidity and unsafe footing. I sure hope Umbra doesn't put me in the mind of unsafe footing. I Love Vetiver, my Indonesian wife hates it. She worked for the UN on Timor and a few other more remote/less developed islands. I put some nice Indonesian and Bourbon Vetiver totaling 10.5% in my Cafe Diem fragrance, and everytime I wear it she complains. She says that the vetiver smells like "one month old unwashed village people". Wow Paul, now I'm embarrassed. Here I am with my silly little vetiver remarks while you're making a real difference. What a great story. well, guess i won't comment "how i love vetiver...blah, blah, blah" the only one i will reference is a wonderful fragrance created by Maurice Roucel for Kenzo: Kenzo Air - it was just WAY BEFORE ITS TIME...with that said, i'm so sick and tired of all the overused/mentioned ingredients: i don't want to read about another Vetiver, Oud or Honey (the new vanilla)..STOP the Ingredient BS all together and learn to smell with your nose, not your eyes...Thanks Dan - great post. Bart. Bart, maybe I need to read more opinions on perfume so that I start to get sick of things, too. So what's the verdict? Please don't keep us in suspense any longer! I volunteer for Pen Pal duty - pick me! Pick me! I come from Lucky Scent here after seeing Ramon Monegal for the first time wondering, what is that, and low and behold Dan had already ordered. I can't wait to hear the verdict or maybe I can wait, hmmm. I haven't found anything featuring vetiver that I like more than, "eh, I don't hate it." So I've been able to safely avoid pursuing vetivers to this point and if if Dan loves it then I'd probably have to see for myself. So, I'm torn between wanting Dan to love it and wanting Dan to hate it. Simplify, simplify, simplify. And as far as Dan's Bleu review, I'm currently in love with all things Chanel, even the Keira Knightley vids which really should turn me off but because those two mirrored C's are attached to them I watch. And I can even look past Karl Lagerfeld's weird gloves without thinking twice. So once my Chanel affair starts to wain I might check out Bleu and maybe it will end it gracefully, so I can say, it's not you Chanel, it's me. Look at all the ways we find excuses to end a relationship, Darin. Even with a perfume. And as far as volunteers for a new Pen Pal, count me out. I'm too busy and I have nothing interesting to say ever. If nominated I will not run, and if elected I will not serve. In other words, I'm just playing hard to get (is it working?). You really know how to build the intrigue. That's very nice of you to say Katie, but the answer is still no. The more shameless Stefush becomes, the more resolute I shall be. Imagine Gandolf on mines of Moria bridge before the Balrog, "You shall not pass!" Yeah, that resolute. If I'm nominated, not only will I run - I'll sprint. Not only will I serve, but I'll serve canapés, crudités, fresh salmon in some kind of demi-something, and I won't play hard to get - I'll be this blog's mattress. I'll be this blog's bicycle. This blog will be getting calls from the Po-po saying I was found slinking along the Town Center at 6am reeking of cigarettes and half-remembered shame. No beaver ever more eager. Look, just call my Dad and tell him I'm here and it will all work out. I probably won't get to use the car again, but it was worth it. Okay, you had me LOLing at the "Nickelback of perfumes." Like Nathan I also enjoy Autoportrait. There's something about Olfactive Studio that makes me happy- I appreciate that most of their scents are rather unisex. They released Flashback not too long ago, but it has a larger vetiver punch than Autoportrait. I like this blog much that I thought I tell you buy I vetiver. Some say like some say no so. If excluding your indulgence, I wear and report back many findings. You can check it too- lucky scent Ramon Monegal Umbra. Ooh I say - I have just fallen for Ambra di Luna and if you had blind bought that I would have taken it off your hands in the event of disappointment! Meanwhile, on a vetiver related note, I just snagged two 4ml samples of Vetiver Tonka for my old English teacher. She wore the dregs of my last haul at her recent wedding! Vativer Tonka is a lovely de-fanged vetiver, Vanessa - just my speed.